Home > NEW STUFF > NOW IN 3 SIZES! 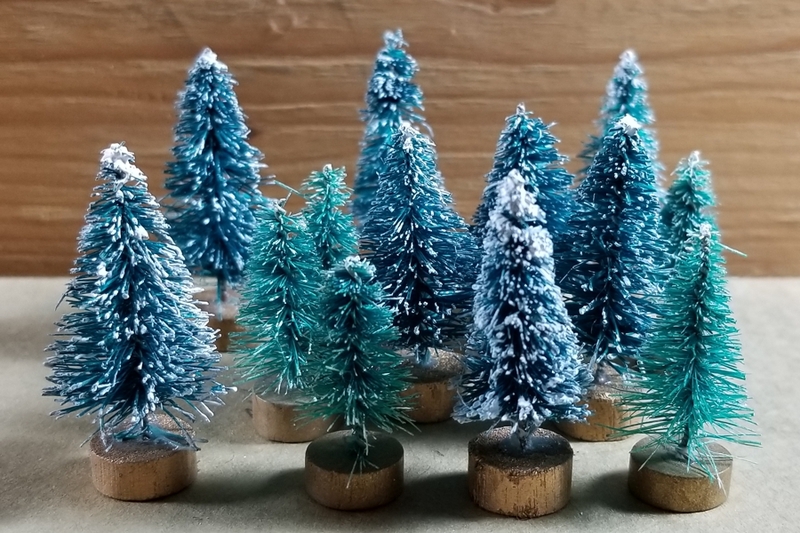 Based on the original bottle brush trees from the early 20th century, these cute little trees are made just like the vintage ones, but they're brand new. 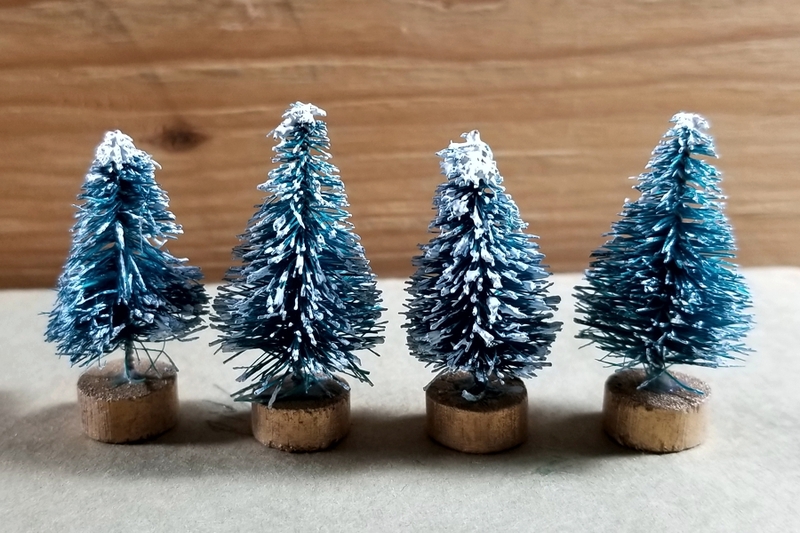 Our teensy trees are green and have been frosted to look like they have been just covered with snow. 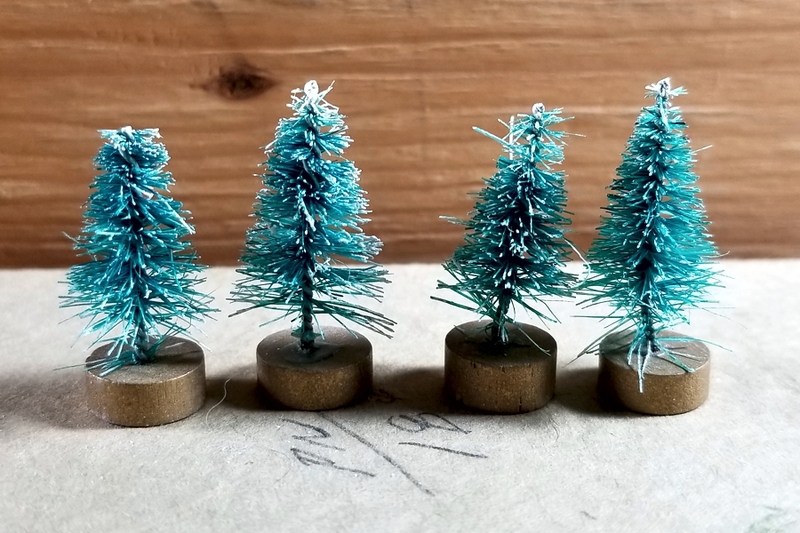 Each stands on a little gold base so that you might add it to your holiday décor or your miniature railroad, or anywhere you can imagine. 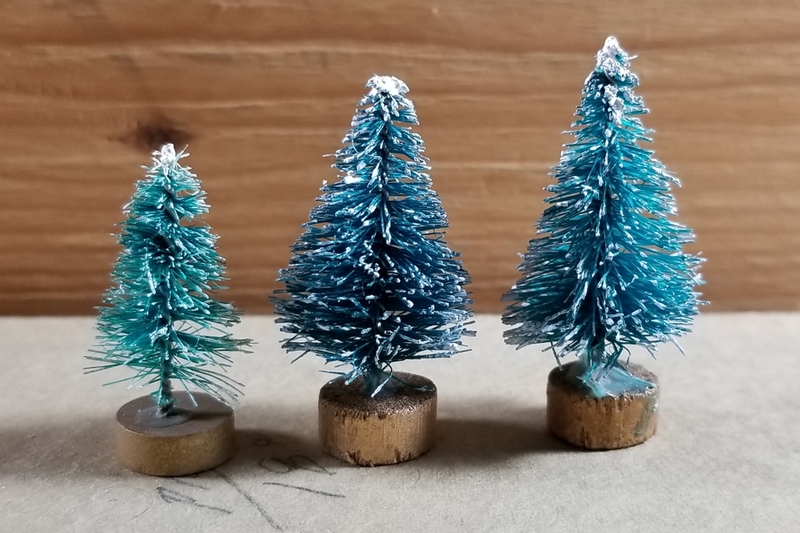 Our mini is still the same as has been available but now we have added these two additional sizes. 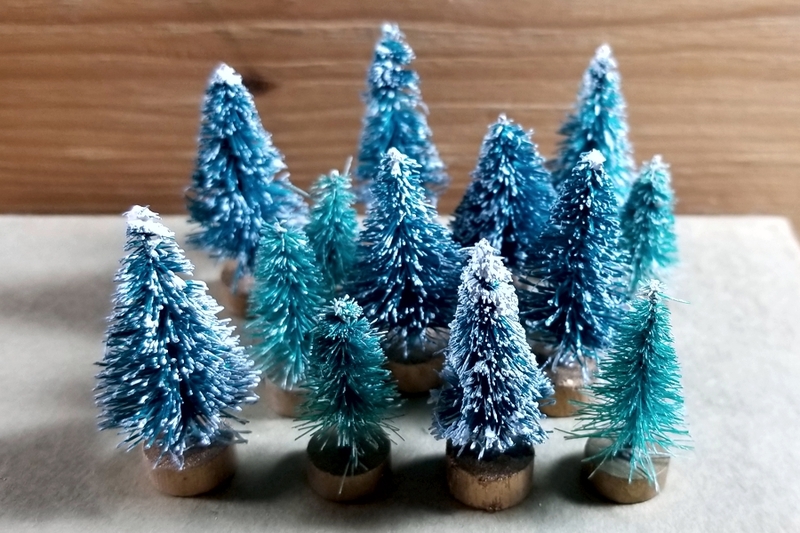 Similar to our photos, we think the mix of sizes make for a wonderful forest scene. 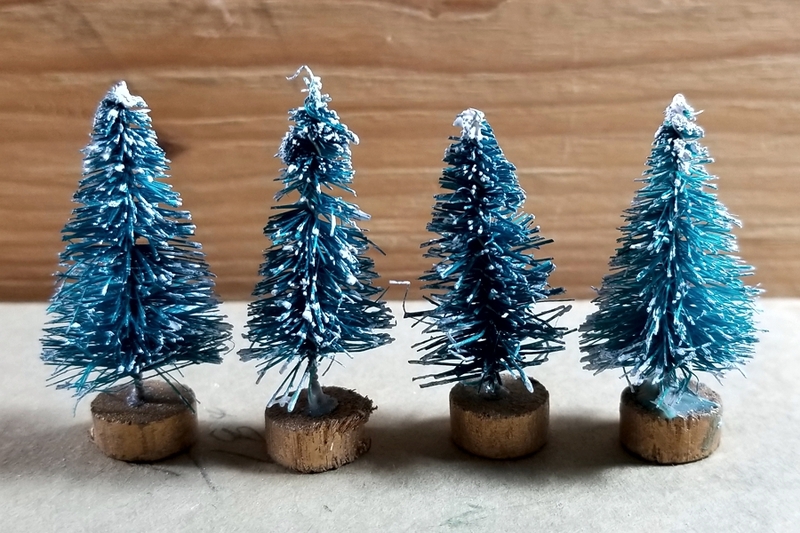 Just as in nature not all trees would be the exact same size at any time.